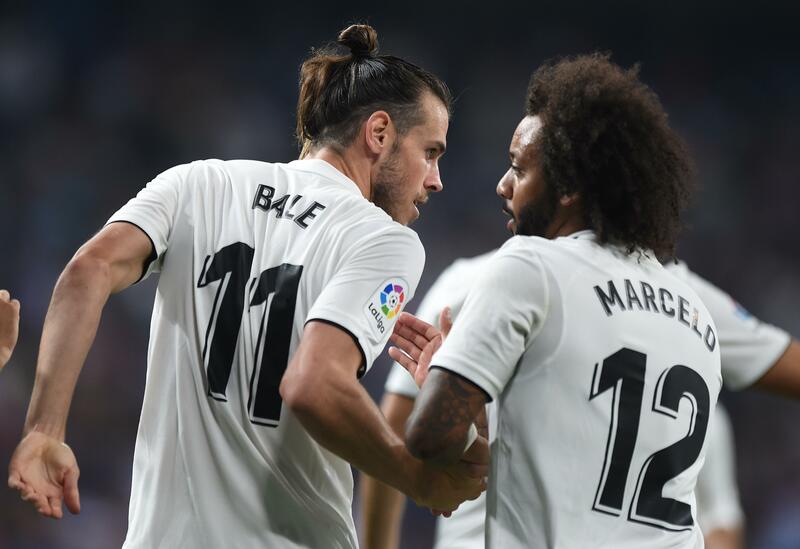 Marcelo has revealed that Gareth Bale only speaks to his Real Madrid team-mates in English. Remarkably, the Wales star is yet to learn Spanish, despite being in his sixth season at the Bernabeu. Bale joined Real in an £85million deal from Tottenham in 2013, and has helped the club win one LaLiga title and four European Cups. The 29-year-old netted his 100th goal for the club in a 3-1 win over Atletico Madrid on Saturday, but his future at the Bernabeu is in doubt. He has been in and out of manager Santiago Solari’s starting XI this season and is struggling to win over the club’s fanbase. In an interview with Marca, Marcelo was talking about Cristiano Ronaldo and Kiko Casilla, who both left the LaLiga giants for Juventus and Leeds respectively, and revealed Bale communicates with gestures. The left-back said: ”I had a very good relationship with Cristiano (Ronaldo), his family and his girlfriend. I played nine years with him and it’s normal to be sad. “Kiko Casilla, who was sitting next to me [in the dressing room], every day I was saying, ‘How are you Kiko, how are you doing?’ and now I have no one next to me.